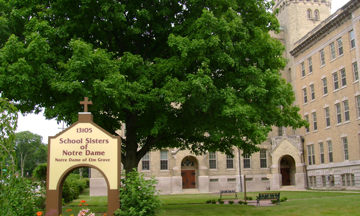 The School Sisters of Notre Dame established Notre Dame of Elm Grove (NDEG) in Elm Grove, Wisconsin, in 1859 to provide an orphanage for children in the area, which later became a home for elderly and ill sisters. 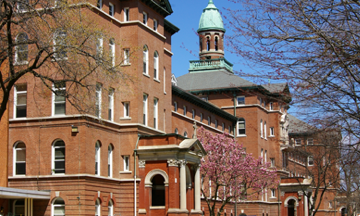 This location has a special meaning to sisters, as Mother Caroline Friess, the SSND American foundress, is buried in the cemetery. More information about sisters’ history can be found in the Heritage Room, which features a series of four art panels that depict the sisters’ arrival to the area. Contact Sister Vicki Jean Chambers at 262-787-1000 for more information. The unique interior of NDEG includes a five-story wooden spiral staircase built with no nails in Notre Dame Hall and the Holy Family Chapel, which has etched windows representing healing and resurrection. 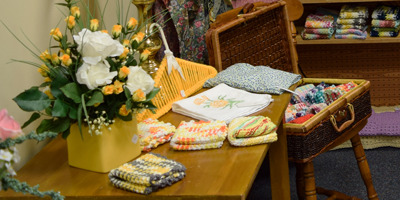 The gift shop has many items made by the sisters, including knitted and crocheted items, hand-made greeting cards and jams made from grapes grown on the property. 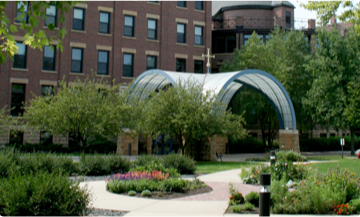 The grape arbor was built in 1886, and the grape vines were brought with the sisters from Germany. Sisters at NDEG are committed to meeting unmet needs. Global Partners, Running Waters, Inc. helps build relationships in order to support water, food, health and education projects in Latin America, and Rising Stars Volunteer Tutors recruits and trains adults to do one-on-one tutoring to improve reading and math skills of at-risk youths in Milwaukee. Hours: Open Daily 1-4 p.m. The Certified Nursing Assistant, under the direction of the Nurse, provides functional support and health-related services to residents consistent with each resident’s needs. All resident care is provided in a manner that meets the resident’s physical, mental and psychosocial needs and enables the individual to attain or maintain the highest practicable level of functioning. The Food Services Aide performs and completes a variety of food service related duties as necessary and assigned by departmental supervisors. 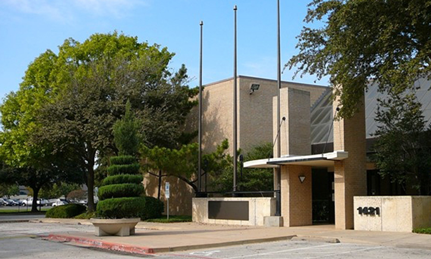 The Food Services Aide assists the cook with food and meal preparation and serving of meals. 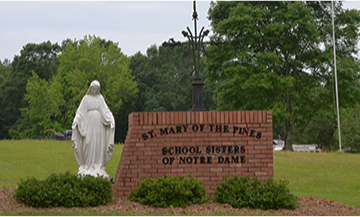 The Food Service Aide assures that services are provided within the philosophy and mission of the School Sisters of Notre Dame and according to the policies of the facility.